Hey allemaal! Weer een ding geleerd deze week: 40 graden Celsius in een stad als Parijs is geen pretje. Waar is de heerlijke verfrissende zeewind zoals in Zuid-Frankrijk? (Waar is überhaupt dan maar ook één vorm van wind?) Als huurster van een klein Parijs’ appartementje zonder tuin/balkon/terras, kan ik niet genieten van buiten zijn in de schaduw bij mij thuis. Het is dus óf binnen zitten, óf in de zon rondlopen, óf vluchten naar de Starbucks, zoals ik nu doe terwijl ik dit typ. Ik koel af met een café frappé en geniet van de airco, net als alle andere mensen hier. Maar goed, laat ik niet klagen, want mij maak je met dit weer honderd keer blijer dan sneeuw en regen. De laatste tijd heb ik het idee dat ik wat stil ben op deze blog en als ik iets post, zijn het met name foto’s. Het is dus tijd voor weer een update van Eline in Parijs. De echte posts met tips voor in Parijs ga ik waarschijnlijk schrijven als ik terug ben in Nederland en dus ook weer meer tijd heb. In deze post wil ik graag, met het gebruik van alle foto’s die ik de laatste tijd op mijn Instagram heb geplaatst, laten zien hoe mijn laatste weken waren! Uit gemak typ ik de tekstjes bij de foto’s even alleen in het Engels, ook omdat ik weet dat jullie allemaal hartstikke goed Engels kunnen en niet al mijn lezers Nederlands ;) Het is een lange post, maar ik hoop dat jullie het leuk vinden om te lezen! Hey everyone! Another thing learned this week: 40 degrees Celcius in a town like Paris is no fun. Where is the lovely sea breeze like in the South of France (where is ANY form of a breeze?) Als a tenant of a small Parisian apartment without a garden/balcony/terrace, I can't enjoy being outside in the shade at my home. This means I have to stay in, I have to walk around in the sun ór that I have to flee to the Starbucks to cool down with an ice frappuccino, like I am doing while I am writing this post. But apart from this, I shouldn't complain, because this weather is making me a bazillion times more happy than snow and rain! Lately I have the feeling that not posting a lot on this blog, and if I am posting it's just pictures. 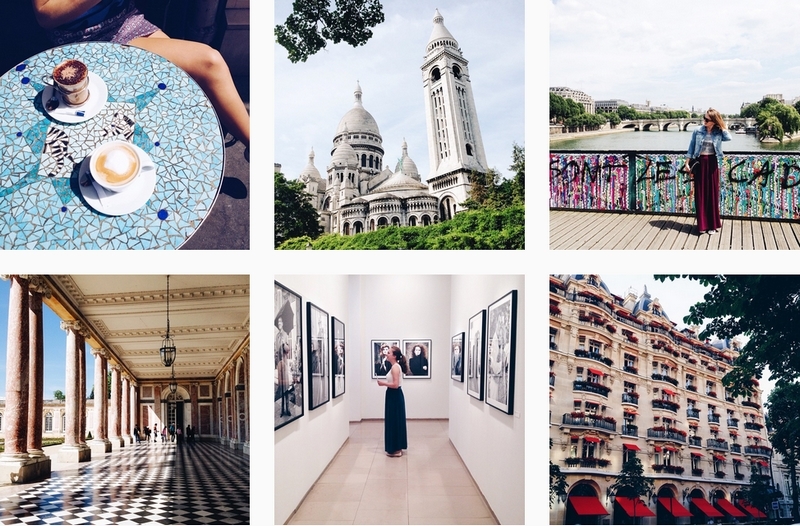 It is time for an update of Elines life in Paris. I will probably write a lot of posts with tips for in Paris when I am back home in the Netherlands, because I will have more time there. In this post I would like to show you how my life has been lately, using the pictures that I have posted on my Instagram. It's a long post, but I hope you will love reading it! In the beginning of June I turned twenty, and I had many visits of my family! My parents, boyfriend and sister visited my almost back to back! These six photos are all taken when my bigger sister Michelle was here in Paris! 1: The garden of the Grand Palais in Versailles. I took some amazing photos there with my sister! Can't wait to edit them and then share them with you!! // 2: As a thank you my sister bought me this big pistachio macaron. Can I say foodporn? // 3: I have this thing with floors, I learned in Paris. 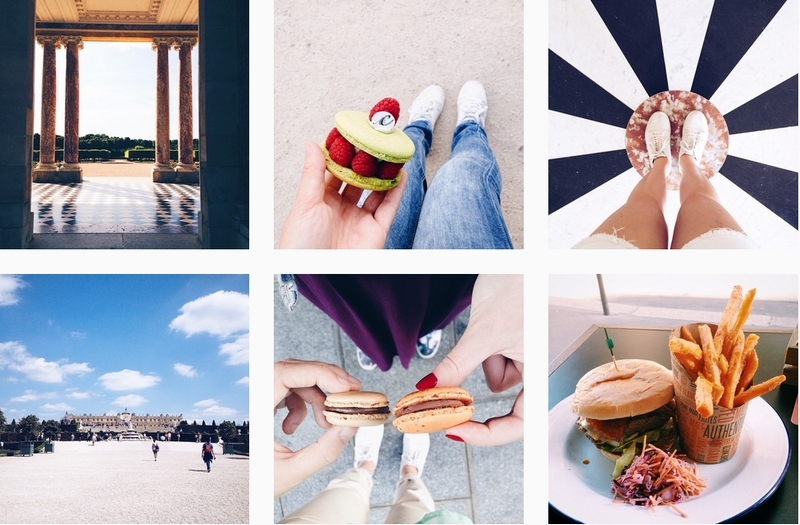 // 4: Château de Versailles // 5: You can't end your Paris visit without trying macarons! // 6: IT seems like you can get burgers in every restaurant here in Paris. One night we ended up at a restaurant called 'FROG' next to Bastille. These burgers and sweet potato fries were a-ma-zing! 1: I had three visits in a row, then it was quiet for one week and then my favourite other Eline visited Wout and me in Paris! We had a drink at Westin Place Vendôme, and later I learned that apparently this photo is everywhere now on sites like Tumblr and Weheartit! 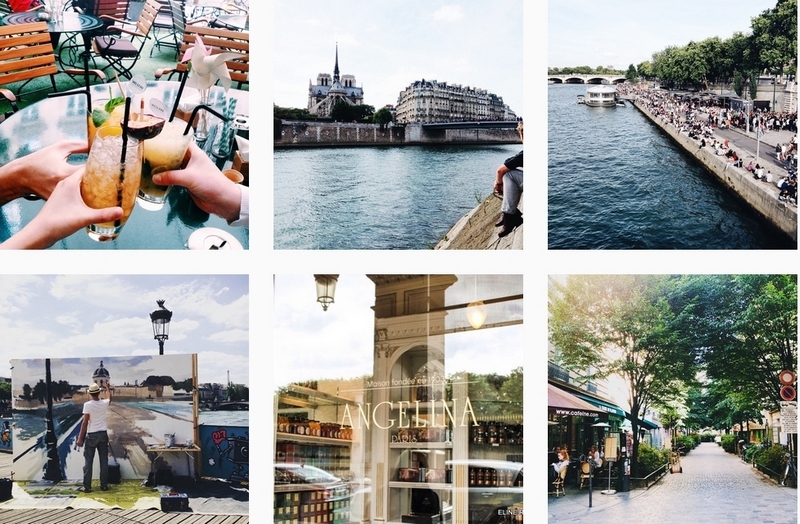 // 2: The best Parisian nights are spend on the banks of the Seine on the side of île Saint-Louis. // 3: During Fête de la Musique, which is a national holiday here in France, you could find street artists on every corner. Look at the crowd here! // 4: Another street artist, but not during Fête de la Musique. My sister and I discovered him when we were walking on the Pont des Arts (where they took away the love locks). He wasn't there to earn money, he was just there for himself, to paint. I really liked that! // 5: I shared a post on my blog about Angelina. // 6: One of the cute streets of Le Marais. I love discovering this quarter on my days off. So many dark shots in a row! Haha oops! Like I said before: You can't end your visit in Paris without eating a macaron. 2: So that's what Eline and I did. These are from Café Pouchkine and were amazing! // 4: On one of the nights that Eline were here, Wout, she and I visited a wine tasting bar called O Château. I loved the concept of this.. Perhaps I can write another hotspot post about it. // 5: And anóther hotspot that had been on my to do list for a long time.. Café Kitsuné! Love the latte art! // 6: Sunset over La Défense. And the colours are back! 1: On Murel's last real day in Paris we enjoyed a café together. Look how cute these tables are! // 2: Why did I never go behind the Sacre Coeur before? This view was incredible! I like discovering new perspectives. // 3: Throwback to my sister on the Pont des Arts. // 4: And another one of the Grand Palais. // 5: Me in het Maison Européenne de la Photographie, taken by Eline. I could also write a post about this museum.. Do you see my problem? There are so many things to share with you! // 6: One of the most gorgeous looking hotels in Paris in my opinion. Plaza Athenée! I have never been inside, only worshipped the exterior. 1: Disneyland. My magic place. // 2: Ice cream in Disneyland! Chocolate, Raspberry and Mango. Perfect way to cool down. The shop closed after they helped us, which made me feel quite bad for all the kiddo's haha. I had a lovely day with Wout. Also still thinking about a blog post I can write about this day. // 3: You can never go wrong with shots of the Sacre Coeur. // 4: Finally visited the famous Maison Rose. I have no idea if it's famous for anything else than the colour, but I have to agree that is was very cute. // 5: Another pic of Murels last day. We did a little photoshoot right there, how gorgeous does it look?! The picture will take some time (because I still have an entire pile to edit), but I am so curious! 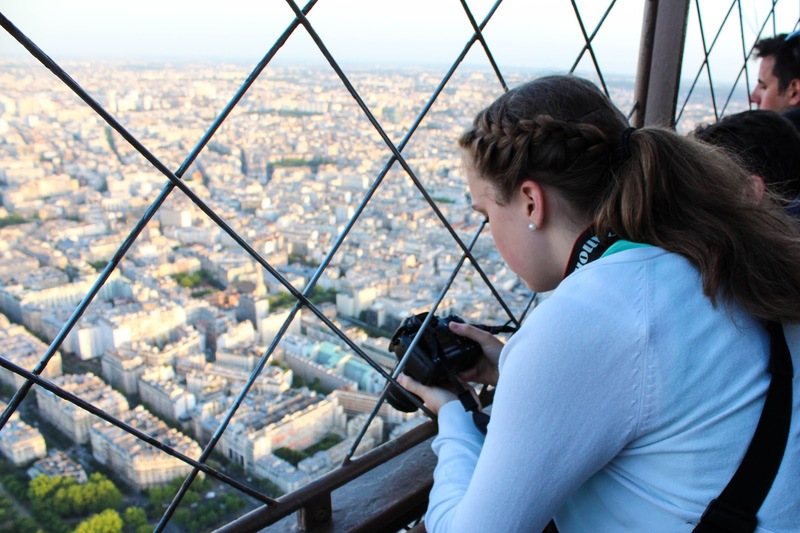 // 6: And on saturday morning I took climbing the Arc de Triomphe off my bucketlist. This view is amazing. If you're willing to read more after this post (which I could highly recommend of course), I want you to go to this post. 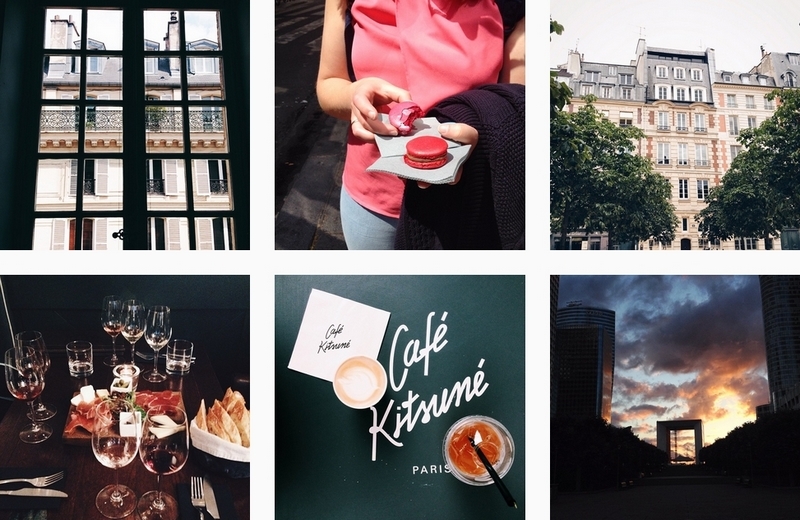 I wrote another article for Frederique of FABlefrique with 5 secrets to becoming a Parisienne! Have a lovely day and remember; stay hydrated! (with lots of ice creams). Hi love! I hope you had a great weekend! 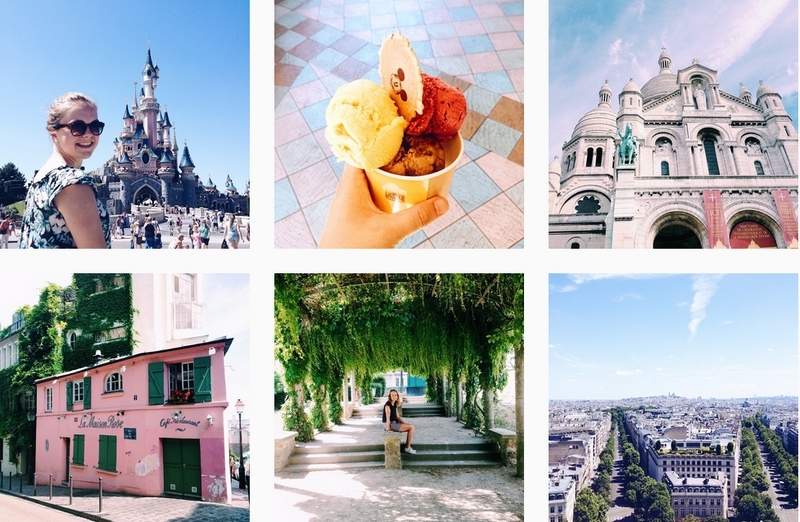 Wow so many amazing photos, you captured your trip beautifully :) makes me want to go back to Paris!